After breakfast day excursion to the oval shaped Tsongo Lake (40 kms from Gangtok departure in the morning) - situated at a height of 3,780 mts. with an average depth of 50 ft and home to the Brahminy duck and several migratory birds On the way stop at Kyongnosla The cool water of the Lake is perfectly attuned with the scenic beauty around. Travel to Baba Mandir another 17 kms beyond Tsongo lake Return to Gangtok. Overnight halt at Gangtok Hotel. 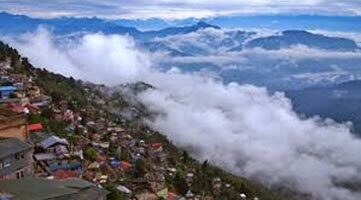 After breakfast transfer to Darjeeling, one of the most magnificent hill resorts in the world. Evening free to explore this Hill queen. Overnight stay at Darjilling hotel. Early morning tour to Tiger Hills (at around 4 am) to view sunrise over Kanchenjunga Peak (subject to clear weather). On the way back, visit Ghoom Monastery and Batasia Loop. 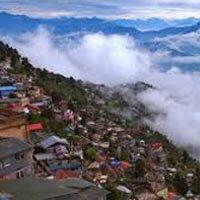 Afternoon, go for a half-day sight seeing tour of Padwaja Naidu Himalayan Zoological Park & Himalayan Mountaineering Institute (Closed on Thursday), Tenzing & Gumbo Rock, Tibetan Refugee Self-Help Center (Closed on Sunday) & Tea Estate. Overnight at Darjilling Hotel.